HispaBrick Magazine ha lanzado el número 30 de su revista gratuita sobre el mundo de los ladrillos LEGO. Este número es especial porque cumplen nada más y nada menos que 10 años. Como fundador de la revista me han hecho una entrevista, que por suspuesto es lo más interesante de este número. Bromas aparte, no tenéis ninguna excusa para no descargarla y disfrutarla. Enhorabuena a todos los que han trabajado en ella. 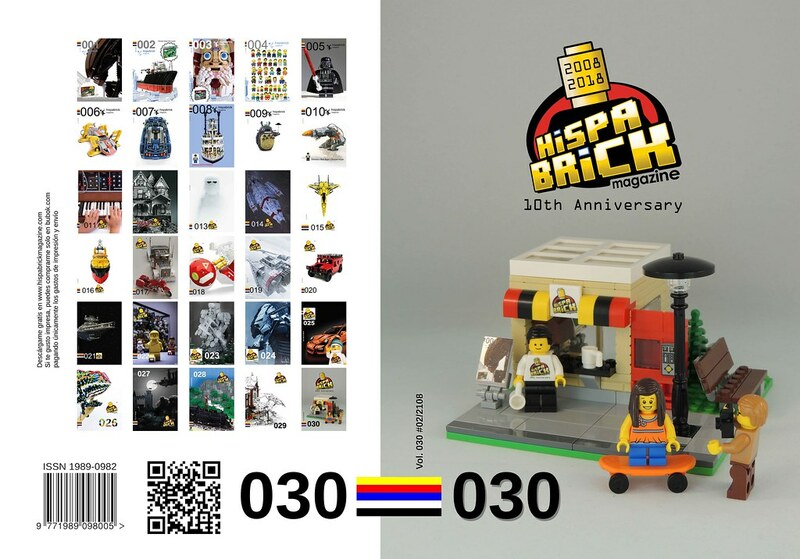 HispaBrick Magazine has released the number 30 of its free magazine about the world of LEGO bricks. This number is special because they fulfill nothing more and nothing less than 10 years. As the founder of the magazine I have had an interview, which is, of course, the most interesting part of this issue. Jokes aside, you have no excuse not to download it and enjoy it. Congratulations to all who have worked on it.